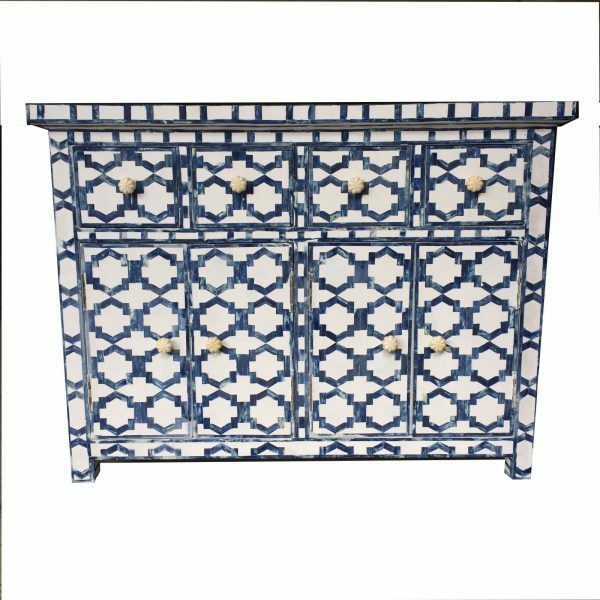 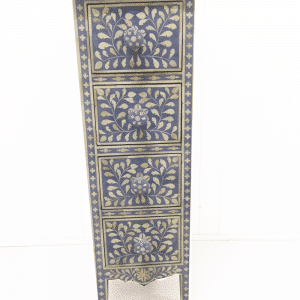 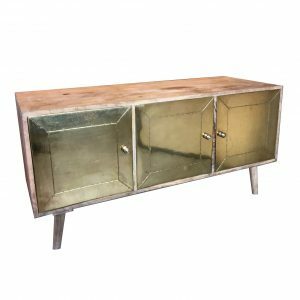 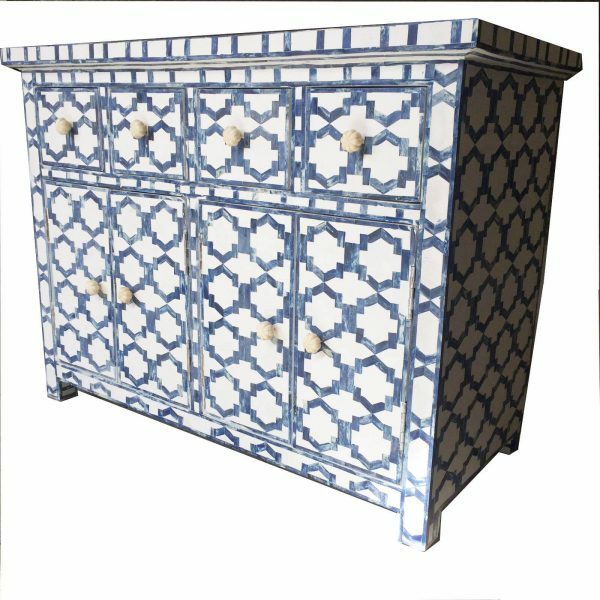 The geometric shapes in this Indian White sideboard are arranged with camel bone which has been dyed blue. 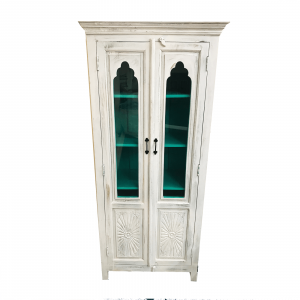 The simple repeating motif stands out boldly against the pure White background of the resin, yet the organic grain of the bone can still be seen within the dye. 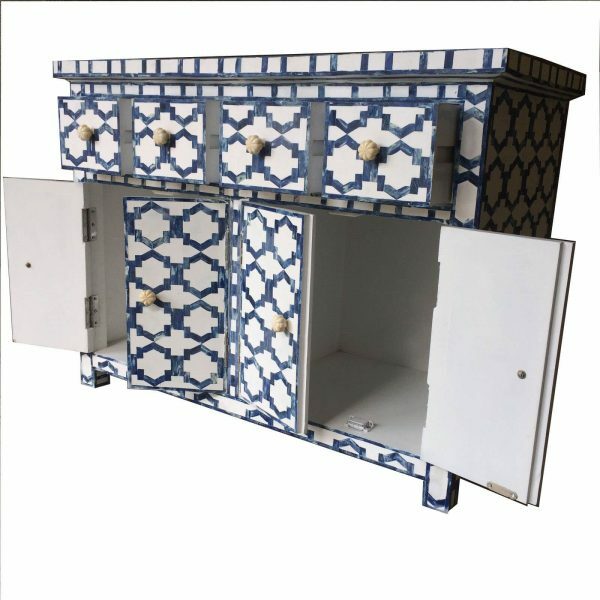 Two spacious cupboards with double doors sit beneath four handy drawers with can deliver a myriad of storage solutions. 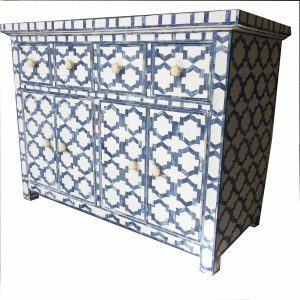 Each piece of bone is carefully carved by hand using a rotary sanding tool, before being left in the vivid blue dye for a day till the pigment is fully absorbed. 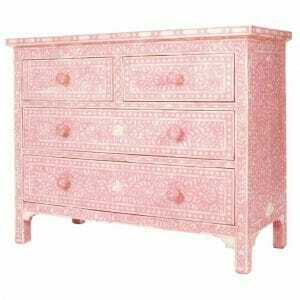 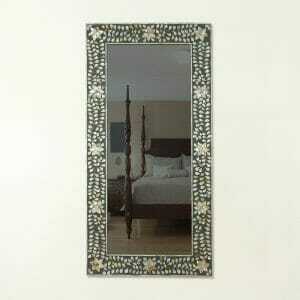 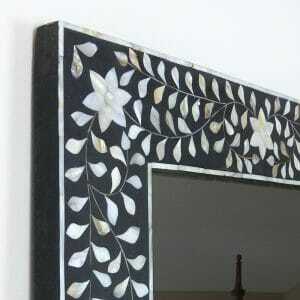 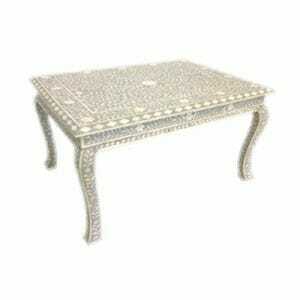 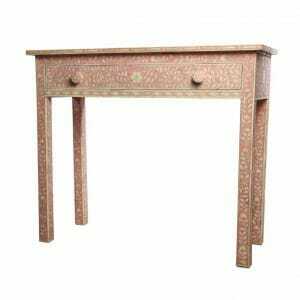 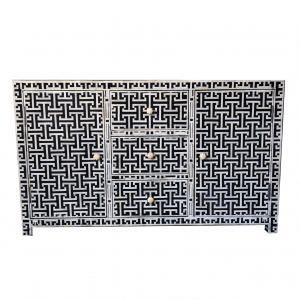 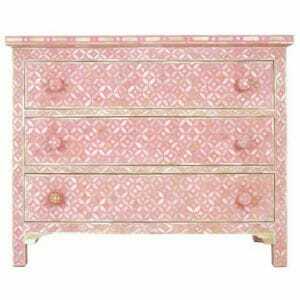 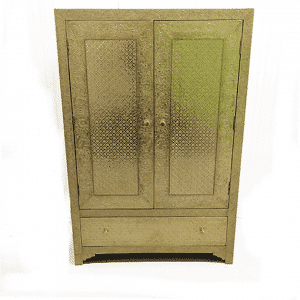 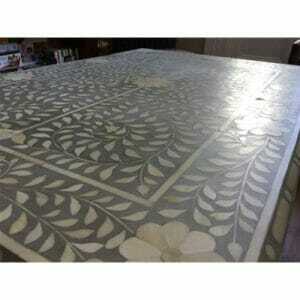 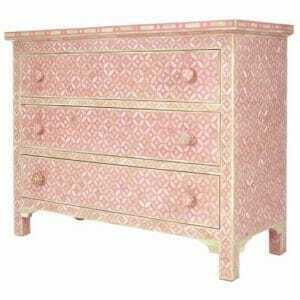 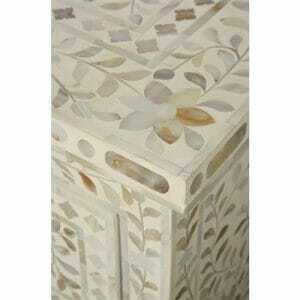 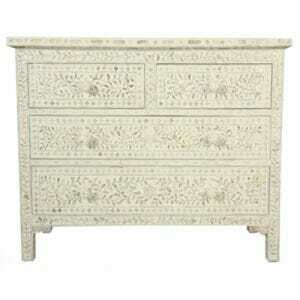 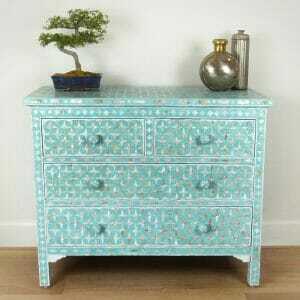 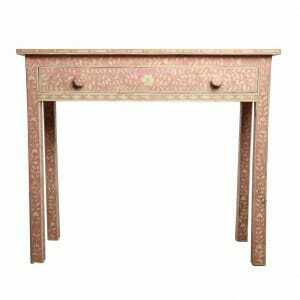 The pattern is then laid out on the wooden sideboard which is crafted out of Sheesham wood. 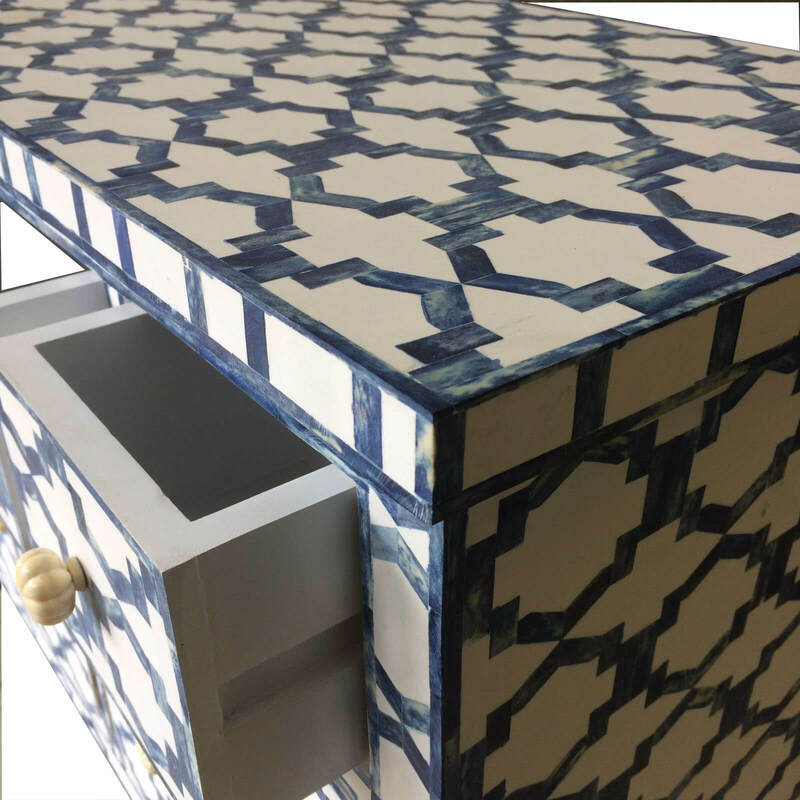 The pure white resin (essentially a hard plaster that sets as hard as stone) is then filled over the geometric pattern before being sanded back to a smooth finish. 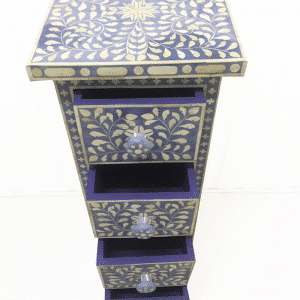 This Painted bone effect can be achieved with any colour. 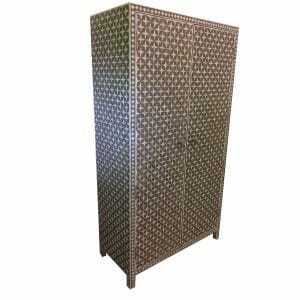 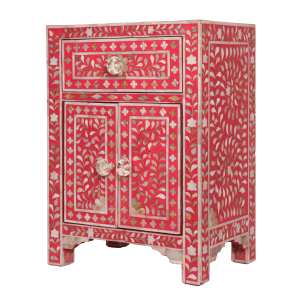 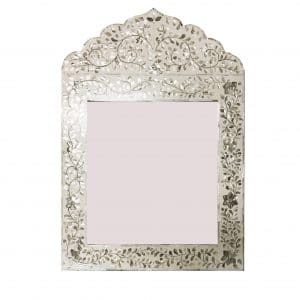 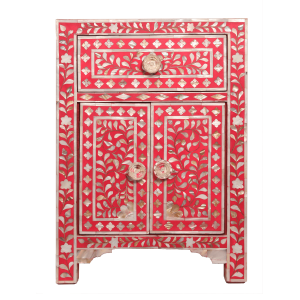 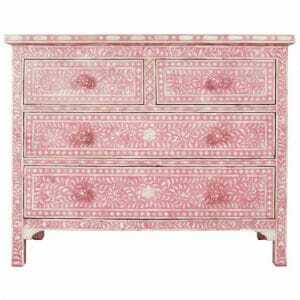 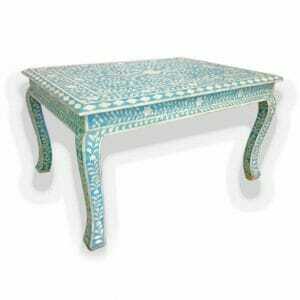 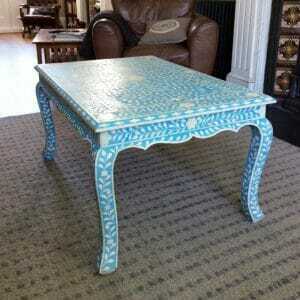 Why not order your own bespoke Indian furniture, choosing your own colour and pattern which we can design together? 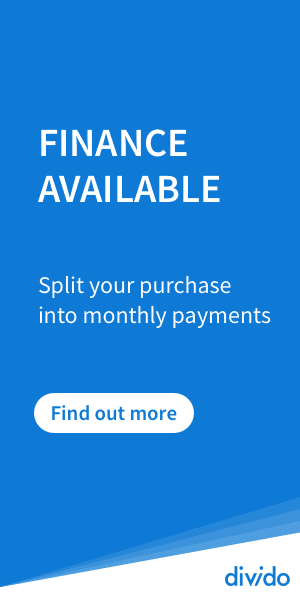 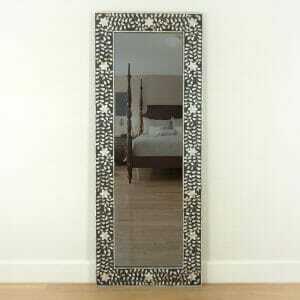 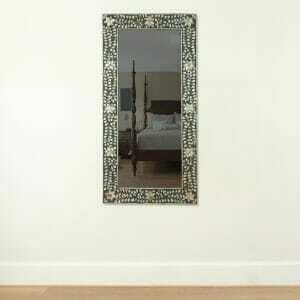 Or you can simply select a pattern from our web site. 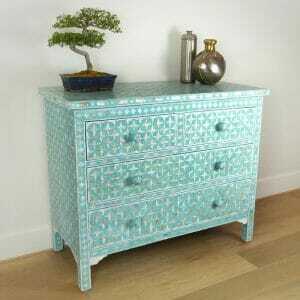 Please email enquiries to info@irisfurnishing.com.